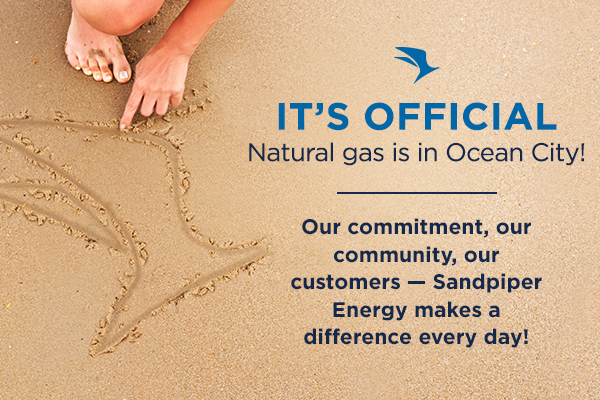 Sandpiper Energy has introduced natural gas into Areas 1 through 6 of Ocean City and is currently in the process of converting these customers. Through the end of May 2018, approximately 700 conversions of Areas 1 through 4 of Ocean City took place. Of these conversions, approximately 140 are commercial customers. To accommodate the visitor season, Sandpiper Energy’s construction process is on hold throughout the summer months and will resume in autumn of 2018. 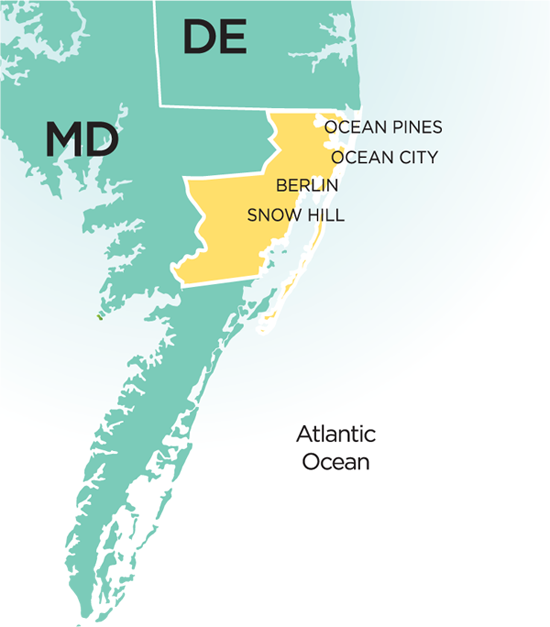 There are over 3,500 accounts in Ocean City to be converted to natural gas. We anticipate the full conversion will take a few years. When Ocean City is fully switched to natural gas, over 3.5 million gallons of propane will be displaced, reducing CO2 emissions to the equivalent of taking 600 cars off the road. Efficiently delivering natural gas via underground distribution will also eliminate transport truck deliveries, which average approximately one per day. Safety is always Sandpiper Energy’s first priority. Thank you to our customers and community for your support during this ongoing process. At this time, the following areas are scheduled for conversion. Click here to view which areas are next in line for conversion.